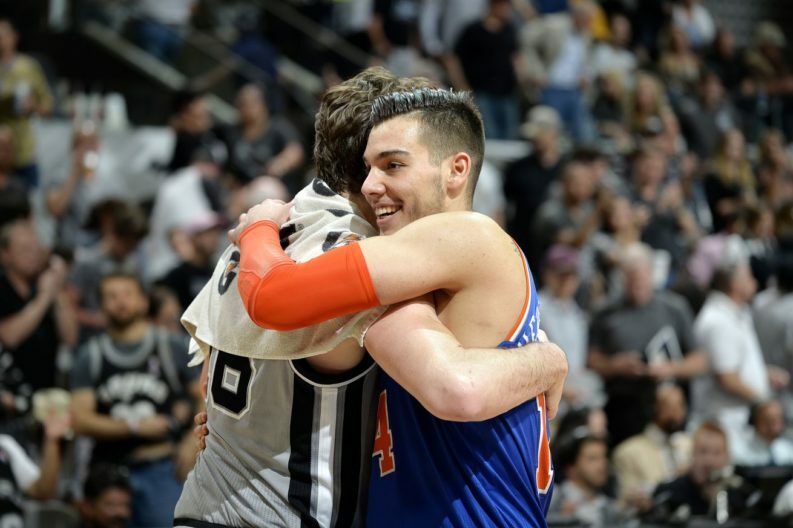 So as you may have read by now, Willy Hernangomez is seeking a trade from the Knicks. The Spurs could use a good center with a short contract. What’s that you say? The Spurs already have a Spaniard in the center position. Well, isn’t that serendipitous. Pau Gasol has all this knowledge to pass down and Hernangomez can understand him in two different languages. Now, what do the Spurs have that could come in handy in New York? Well, currently the Knickerbockers are light on shooting guards and power forwards, and the Spurs are not trading away any power forwards. But, shooting guards. Well, the Spurs have more than they know what to do with. Brandon Paul also has a two year contract. He’s been riding the pine and is most likely not going to be returning to the Spurs next year, so let’s see how Jeff Hornacek and the Knicks front office like that. I ran it through ESPN Trade machine, my favorite new way to kill an entire weekend, and it worked, so there you go. Willy Hernangomez comes to San Antonio and Brandon Paul goes to New York. Verbal contract, no take-backs.